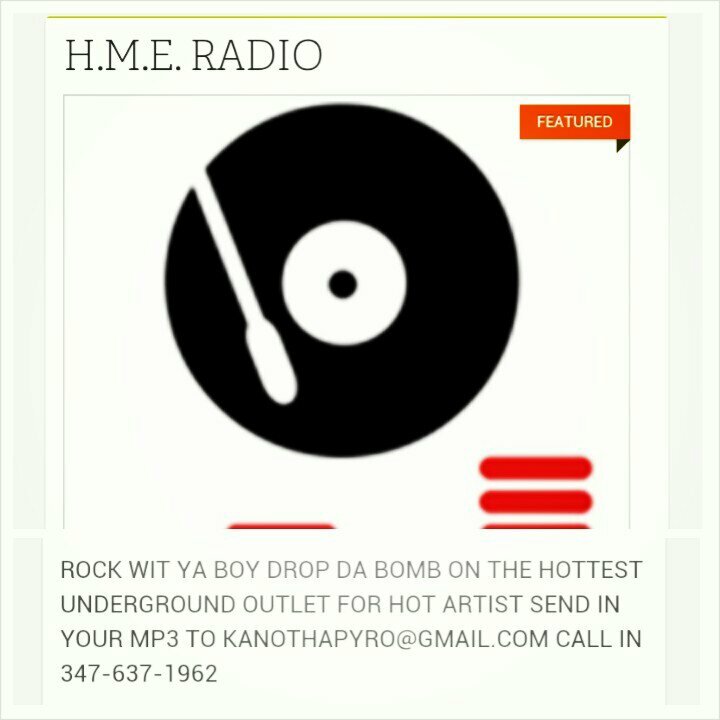 Check out my DJ Kano Tha Pyro on H.M.E. Radio at Blog Talk Radio . Show airs Monday – Sat 8pm eastern time/ 5pm pacific time. Kano Tha Pyro plays hip hop, R&B and fresh new music. If you want your music show cased email Kano at kanyothapyro@gmail.com. Call in to the show 347-637-1962 to be a guest and talk with Kano and Keedie! Tell us whats going on in your community? Give us your opinion and let your voice be heard.